Oh, Naomi. The forgotten daughter. There hasn’t been a real direction for the two-time SmackDown Women’s Champion as of late. Her most recent feud involved Mandy Rose in a “don’t steal my man” storyline that fizzled out quickly. Having “The Glow” move to Monday nights may give her a fresh start. She has proven that she’s a fan favorite, winning the title at WrestleMania 33. 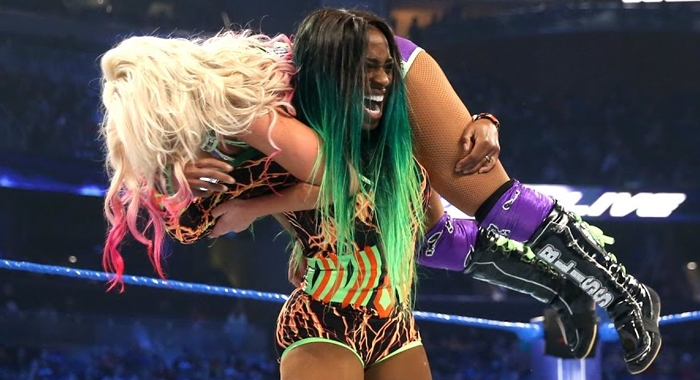 Frustrations have been mounting not only among the fans but even with Naomi herself, as of late. Recently, she took to Twitter to express said frustrations over the fatal four-way match that was scrapped before WrestleMania. The match meant to determine the number one contender the SmackDown Women’s Championship, of course, didn’t happen because Asuka lost the title to Charlotte Flair. Moving Naomi to RAW may not help her situation. This decision may just throw her into a new sea of women where she will continue to search for a life vest. However, it’s worth a shot to see if she can start a feud with someone new.